Entry level, a cost conscious investment to get your jobs done. A simplistic flexible package built to suit your business. It's that straight forward. 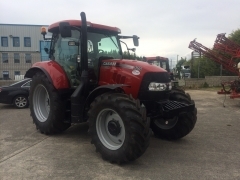 With their modern, powerful design, with every detail tailored to achieve maximum performance, the Maxxum tractors send a clear message as soon as you set eyes on them. 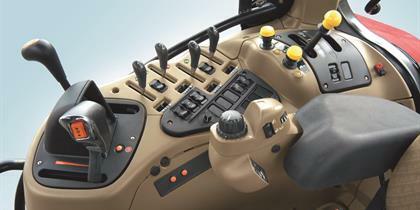 The potential offered by the tractors is even clearer once you climb into the cab and set off. 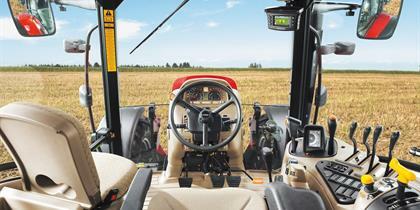 All Maxxum models feature the “Surround Vision” cab, which offers the best comfort and ergonomics. It is the biggest in its class and with a 5.78 m2 glazed area, it provides the best all-round visibility. 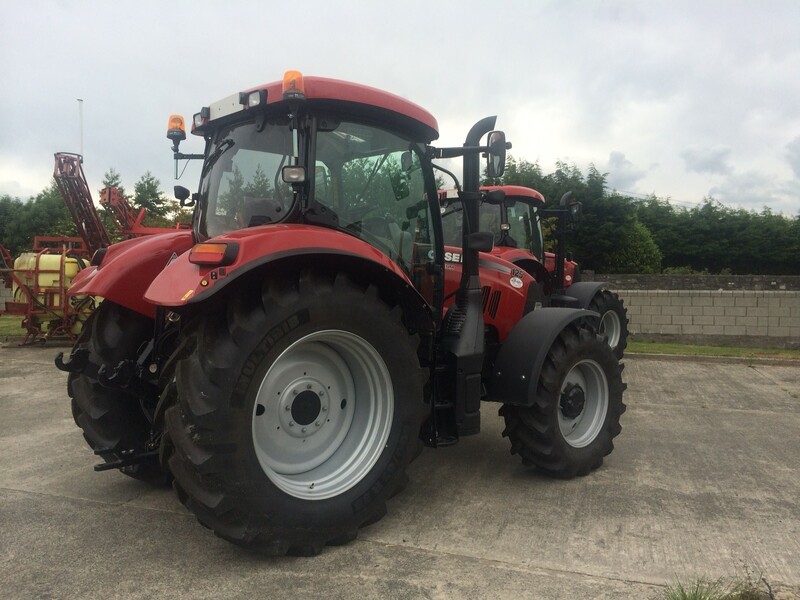 The four-post design and integrated roof window offer an unobstructed view of the implements, with a 105 degree viewing area to the front - ideal for front loader work. The industry-leading low noise levels, at 69 dB(A), and cab suspension set new standards of comfort. The intuitive controls put pure power at your fingertips, giving you effortless control and stress free operation. 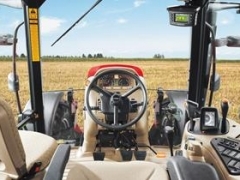 Master your tractor’s performance with the proven and ergonomic MulticontrollerTM, the precise instrumentation and clear displays, delivering power exactly where it’s needed, when it’s needed. 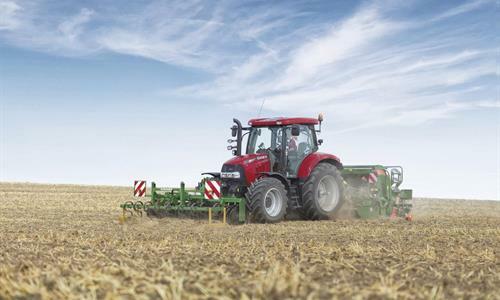 The engines deliver a true power boost with 10% more power at just 1,900 rpm with exceptionally low fuel consumption. The turbocharged and intercooled 4- and 6-cylinder engines, with 4.5 and 6.7 litre capacity and electronic common rail injection, combine this powerful and efficient performance with exceptional strength and reliability. 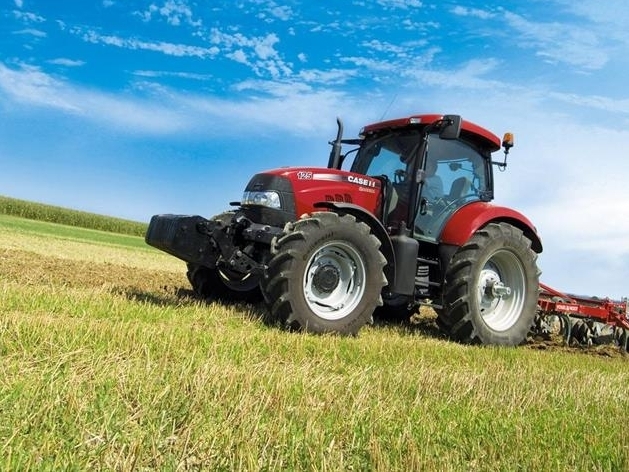 Your choice of tractors from the Maxxum range starts with Powershift and Powershuttle. These transmission types are offered in the basic model with 2-speed Semi-Powershift and 24 x 24 gears or with a creep speed gear and 48 x 48 gears. 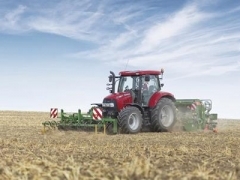 You also have the option of having your tractor equipped with a 4-speed Semi-Powershift and 16 x 16 gears or with the creep speed gear and 32 x 32 gears. The third option is a 4-speed Semi-Powershift with 17 x 16 gears and 40 km/h economy mode or 50 km/h maximum speed. 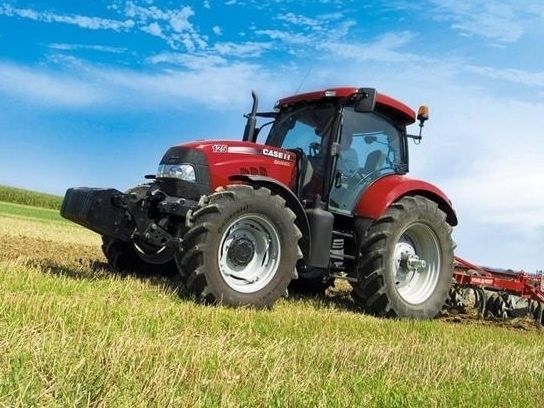 The hydraulic system is powered by a fixed displacement pump, delivering up to 80 litres per minute on Maxxum. A closed centre load sensing pump is optional on Maxxum and standard on Maxxum Multicontroller and CVX. It delivers up to 113 l/min or up to 125 l/min (CVX). The rear linkage lifts up to 7,864 kg with ease. Up to 7 remote valves can be supplied. 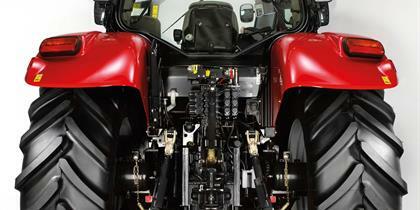 Front hitch and front PTO are available for best productivity. 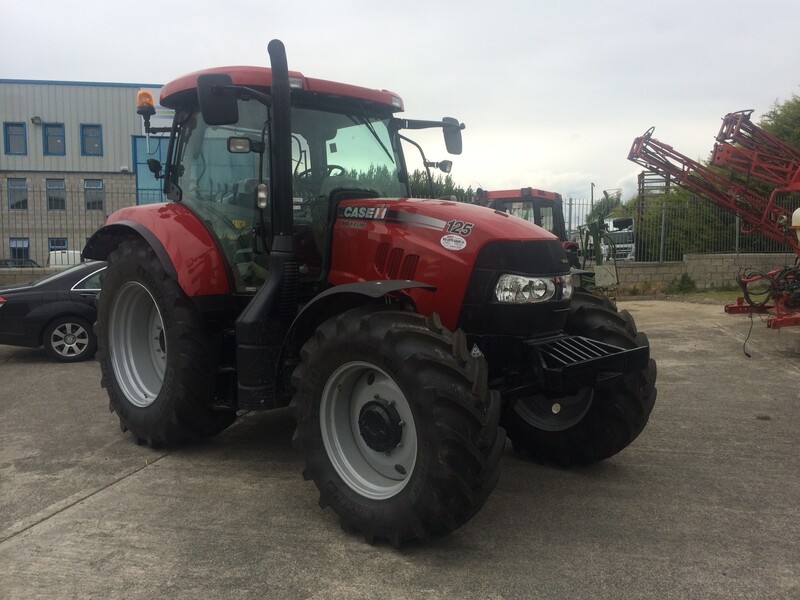 Case IH LRZ front loaders are available on all Maxxum models. 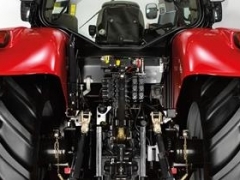 The suspended front axle enhances the operator’s comfort by providing a smooth ride. 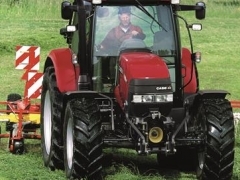 The driver experiences less pitching when travelling at speed with mounted implements. A suspended cab is also available for operators wanting the ultimate in-ride control. 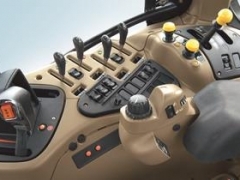 Our AFS systems enable you to maximise your efficiency, with the ability to connect ISOBUS implements for greater interactive control of their performance from the cab, and auto guidance solutions that operate with pinpoint accuracy. The integrated AFS Pro 700 monitor (optional) gives you a clear at-a-glance view of all the important data such as fuel consumption, or engine and PTO revs. You can also adjust vehicle settings quickly and easily for various implements and different working conditions. Copyright © 2019 Mid-Louth Garage Ltd.